Home » Fiscal» Fiscal updates» What are the energy classes in real estate? What are the energy classes in real estate? To standardize the “Classes Energy” uses a number of indicators. Based on the results of the classification efficiency of buildings, you can assign a score ranging from a low of 1 to a maximum of 10. The most powerful class is the class A +, which is attributed a score of 10. E ‘followed by the classes A, B, C, D, E, F and G with a score equal to zero. A score of zero, then G class is assigned when the building has a primary energy (kilowatt-hours required for heating), very high. But what is the index of global primary energy (EPgl)? 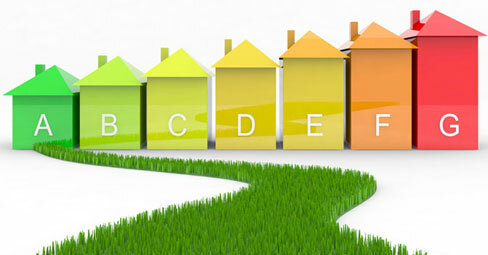 It is the sum of the indices of “energy performance for heating in winter” (EPI) – which represents the energy that is consumed in a year to heat a square meter of living space – and for the production of domestic hot water (EPacs ), whose value depends, in large part, from the means of production, or central boiler or autonomous gas boiler or electric. Based on the value of ‘EPgl, the Italian legislature has defined the classification of buildings of merit: to be Class A building must consume less than 29 kWh / m² per year in Class B is from 29 to 58 kWh / sq m, and so on up to class G which consumes more than 175 kWh / sqm.